Well what another interesting week! Man this last week was one full of a lot of different events! First I didn’t say this last week, but what happened to standing while singing called to serve? No one has done it here so far so last Sunday my companion and some of the other Elders thought it would be embarrassing to start it but I did anyway and I got everyone to follow. But man there is so much more I finally got my Lava Lava! These kids dared me to eat this huge ball of cheese found at the bottom of the ritz bitz box, lets say I will never again eat a ritz bitz! But it was so worth it because its all I wear now! I am not sure who invented pants, but it was a bad idea. Also we had three guys who are fluent cantonese speakers from the states that were only here for a few days that were in our room man so that was a short fun party two left this morning at 2:30 so I didn’t sleep much. Then my whole branch accept us and one of the phillipino branches all left today! Man I am gonna miss all those guys so many characters in that group for sure! Also my companion got geardia its like a stomach bacteria so that has delayed the work we had to go the doctors here which took awhile, then we had to go off campus to the lab. and miss a whole morning session of class while he slepted in! But overall it all came together when after playing some volleyball we watched the sunset together sharing detailed descriptions of the colors and pictures view. Man even with all that going on I have still been received so many blessing! We had our TRC(training resource center) Were you get volunteers that you get to teach they could me members or nonmembers. Me and my companion did really well, we got to know the investigator, taught a whole lesson on the spirit used some scriptures and set commitments all with just what we knew so the language is moving along! We are still far from ready its amazing that anybody could ever pick this language up in 9 weeks. Its considered the hardest language here in the MTC, to make it harder we cant even learn the written part until halfway through the mission. So they have the word leah which means like nine different things depending on the tone, but even with the same tone it means to get to know someone and the word for you. Haha I am gonna love it though its an adventure the whole time. When I first got here I was really competitive about being the best. I would do study that would help me and I would kinda not share things but I have completely changed my mindset. Its so much nicer to just help each other grow and become part of the same team, I dont know why it took me so long to figure that out buts it been a lot nicer I am trying to be a leader and keep everyone on task. But 60 hours a week in class it can be hard to stay focused sometimes. I know the lord gives no commandment unto the children of men, save he shall prepare a way for them to accomplish the things which he hath commanded of them. I am not worried about the language I am just worried that I wont rely enough on the spirit. I have found countless times that if you rely on the spirit you would be amazed at how much you can accomplish. Farewell everyone we will talk again in a week! 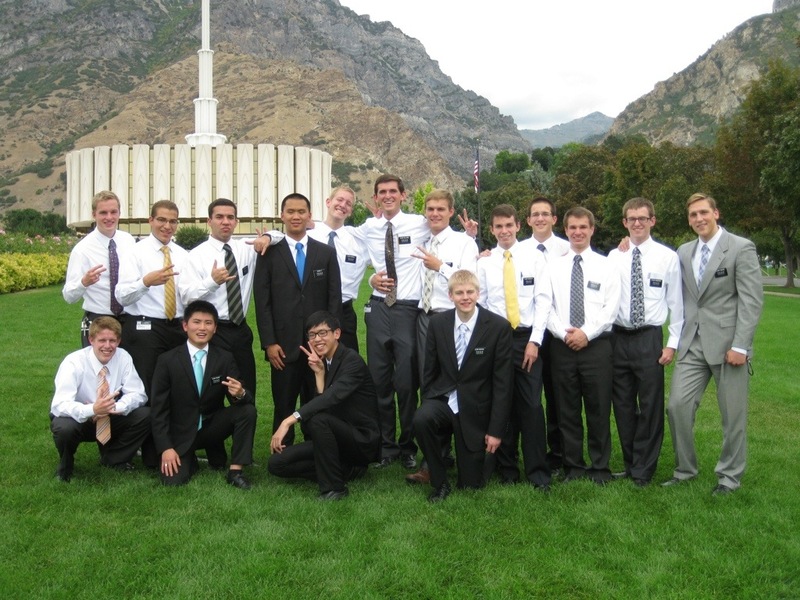 This entry was posted in Jared and tagged Catonese, Elder Cordon, Elder Jared Cordon, Hong Kong, Humility, MTC, Service by shalesecordon9. Bookmark the permalink.